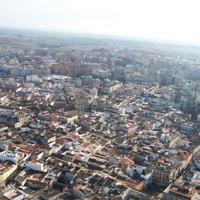 This report includes all the municipalities of Extremadura organized by the number of registered homes. The information comes from the census carried out by the National Statistics Institute (NSI). The population census is one of the most expensive operations performed by the State, so it is therefore only done every 10 years (therefore the information displayed may not be completely current). In fact, taking the census involves contracting and subcontracting thousands of people during several months, therefore the NSI becomes one of the companies with the most employees in Spain.